friendly staff, central location, feels like at home, trendy furniture, some snacks available for free. This place is high fashion and very playful. It oozes “cool” factor. Plus, the in room jacuzzi was amazing after a long day walking around! Location is absolutely perfect. Loved the location. Very strategic. Snacks and drinks were provided at no cost which was a pleasant surprise. Everything perfect. The appartments are very well located, 8 minutes from the duomo. You have tea, coffee, cookies and frigobar included! A great finding. 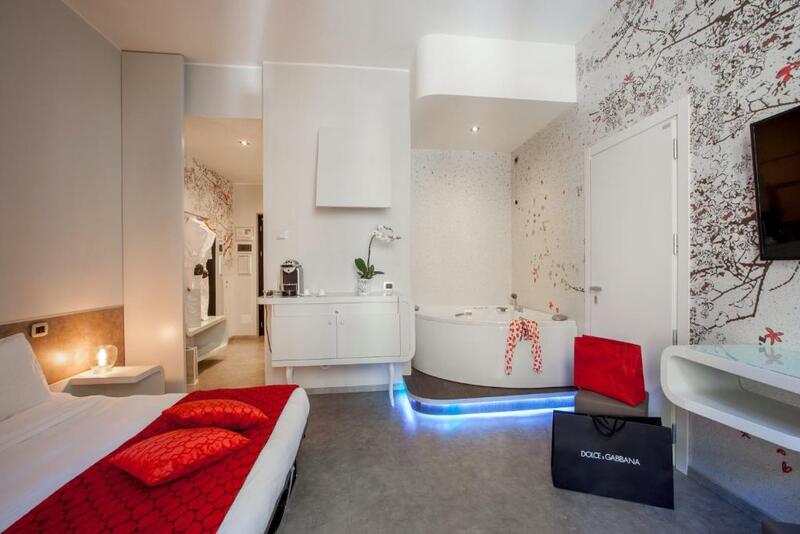 Lock in a great price for Montenapoleone Suites – rated 9.2 by recent guests! One of our best sellers in Milan! Montenapoleone Suites offers contemporary suites in an elegant palace in Milan, 1,000 feet from Via Montenapoleone street and a 10-minute walk from Milan Cathedral. Free WiFi is available throughout. The luxury air-conditioned suites all offer 1 or 2 bedrooms, a living area and a private bathroom. Some units boast a hot tub, while others include a meeting hall. Milan's Piazza San Babila square is a 3-minute walk from the property, while the Sforzesco Castle and lush Sempione Park are 1.2 mi away. Milano Centrale Station is 1.9 mi away, and Linate Airport can be reached in 15 minutes by car. 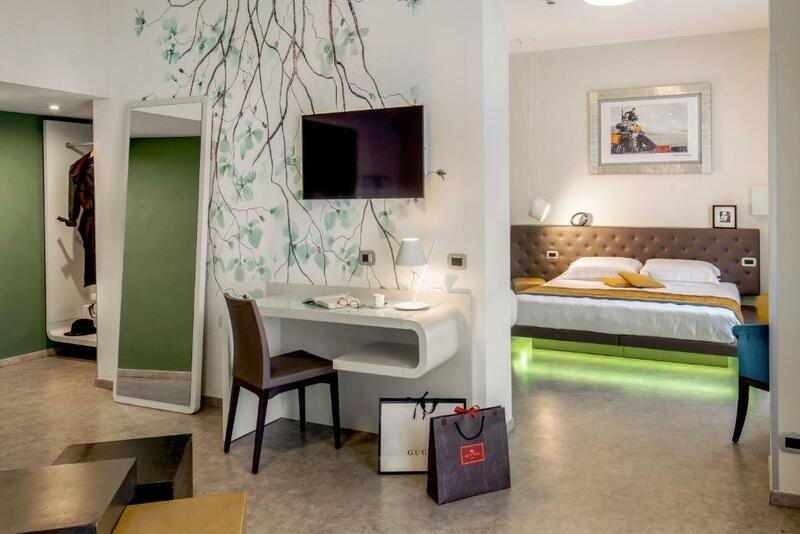 The Rho Fiera Milano is within 11 mi of the Montenapoleone Suites. 뀐 Located in the real heart of Milan, this property has an excellent location score of 9.6! 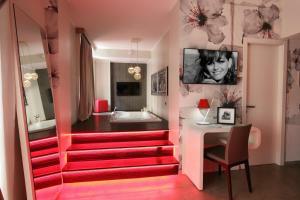 When would you like to stay at Montenapoleone Suites? This modern, air-conditioned suite includes a flat-screen TV and a private bathroom with a hairdryer. This modern, air-conditioned suite comes with a large bathtub. It includes a flat-screen TV, a living area and a private bathroom with a hairdryer. This suite has a flat-screen TV, a sofa and bathrobes. Please indicate in the Special Requests box if you prefer 1 or 2 beds. This modern, air conditioned suite includes a flat-screen TV, a living area and a private bathroom with a hairdryer. 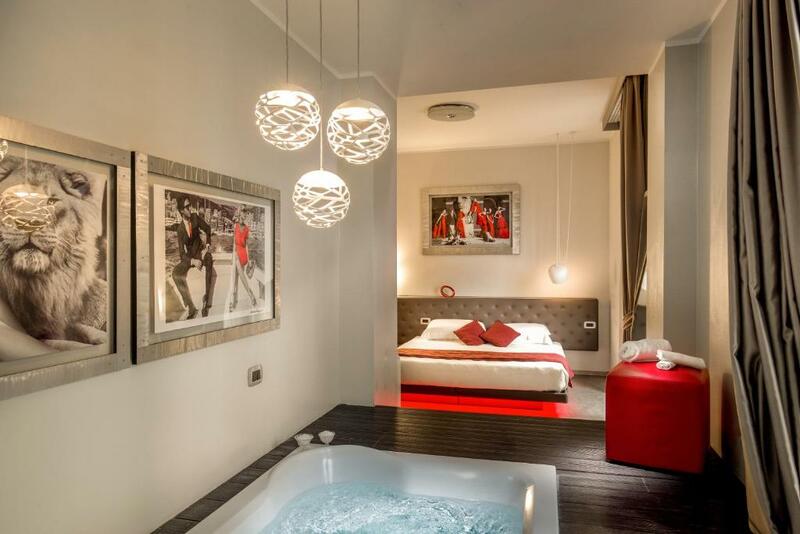 Featuring a spa bath and a Turkish bath, this suite has a mini-bar, air conditioning and a sofa. Featuring a Turkish bath, this double room has a mini-bar and air conditioning. This room features a sauna. 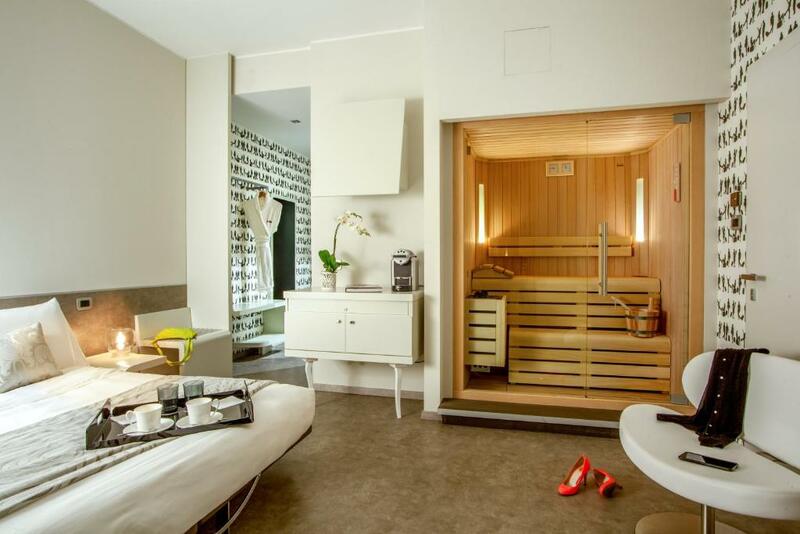 This suite includes a sauna and a Turkish bath. Located in the annex, this suite has air conditioning, bathrobe and mini-bar. This apartment features air conditioning, mini-bar and soundproofing. Monte Napoleone Suites stands out in its modern, designer style equipped with all the services needed for either a business or a leisure stay: the best choice for all those who desire a stay immersed in the elegance of a setting that is refined and charming. 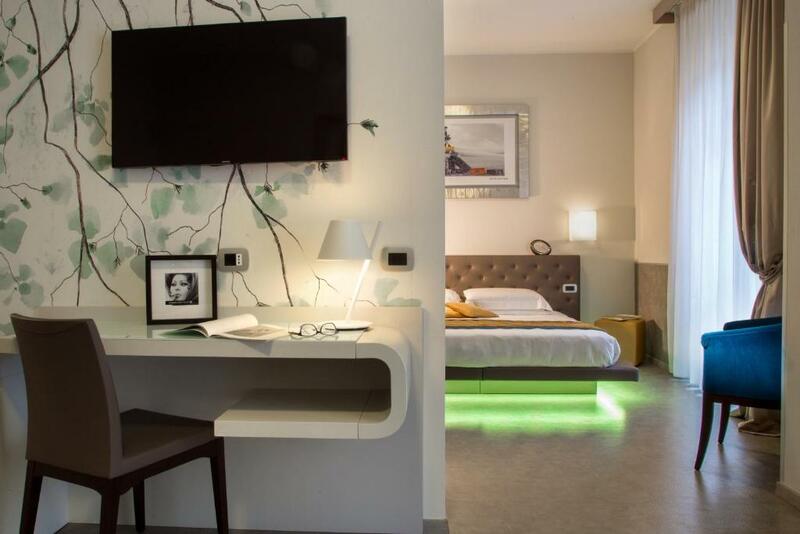 A modern concept of receiving ensures that our guests will always feel at ease and be able to take advantage of all the services of a luxury hotel while enjoying all the autonomy and independence that staying in a suite in the centre of Milan guarantees. Our qualified staff will be able to provide you with all the information you will need and give you suggestions for how to best pass your stay in Milan. In the heart of Milan, at Via Santa Cecilia 4, in an elegant building of an exclusive and quiet neighbourhood: in a strategic location in close proximity to Via Monte Napoleone, Milan’s famous shopping street rich in shops and boutiques of the most prestigious brands. The area is rich in theatres, galleries, restaurants and venues: throughout the year, Milan is never short of art and cultural events, expositions, shows and concerts. House Rules Montenapoleone Suites takes special requests – add in the next step! Montenapoleone Suites accepts these cards and reserves the right to temporarily hold an amount prior to arrival. Please inform Montenapoleone Suites of your expected arrival time in advance. You can use the Special Requests box when booking, or contact the property directly using the contact details in your confirmation. The only downfall was that the people above us were noisy. The bathroom could be bigger. Tub in the room can be replaced with a big shower so bathroom could only have the sink and water closet for more space. Location is perfect, really closed to Duomo!! Staff was excellent...elegant and fashionable rooms..!!! Nice minibar (free), non alcoholic and alcoholic drinks inside. Nice "welcome" gift because we came to celebrate our anniversary ( prosecco, balloons, sign) very good location, literally 3 minutes from main shopping street. Little supermarket right across the street. The concierge was very helpful especially Caesar and Alino. They gave us a quiet room which was great. Great location. 10 minutes walk to shopping areas, Duomo and restaurants. Supermarket and pharmacy conveniently located just outside the hotel. We had a deluxe suite. - Upon checkin staff didn’t help us at all with our luggage - despite seeing we were clearly struggling - but rather just watched us struggle until we reached the flat. - Flat extremely noisy as all of the flats facing the busy road. Could hardly relax in the day or sleep peacefully in the night. - Bathroom noisy (some strange, permanent and disturbing noise of machineries coming form unidentified location). - when requested a quiet flat for our next stay a few days later (pre-booked, non refundable), the staff could only propose an upgrade to an executive suite at nearly double the price because apparently all their classic and deluxe suites face the busy road. Spacious and clean flats. Comfortable beds and pillows. Central location. Lovely building. We really liked the style of the hotel! It’s so well thought and totally accordingly to the Milan vibe. The location is in the center of Milan but in a quieter spot, so you reach everything in a few minutes walk but yet get a full night sleep. The staff were very friendly and helpful. We definitely recommend this place!